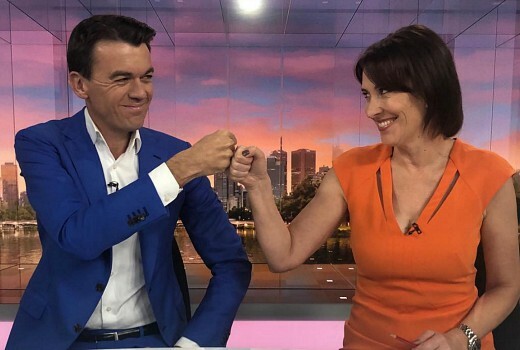 In a footnote to this morning’s ratings wrap, ABC’s News Breakfast show has beaten Today -a first in the 5 city metro. News Breakfast drew 119,000 and 62,000 across ABC and ABC News respectively, totalling 181,000. No doubt the bumper ABC News figures were driven by Scott Morrison’s unusual time to call the Federal Election. Today was narrowly behind at 178,000 viewers, albeit with a single channel playout. Sunrise won the slot, which it does everyday, at comfortable 279,000. Since Nine’s show revamped this year with Georgie Gardner, Deb Knight and Tom Steinfort it is struggling to make inroads, often hovering around 200,000 or below. It’s best this week has been 208,000, unable to capitalise of the success of Married at First Sight. Sunrise is sometimes 100,000 ahead whilst News Breakfast is gathering momentum too. Nine has maintained it is sticking with its Today team. I quite like the new line up. Would love Today to start beating Sunrise again. Today’s been around long before Sunrise was even though of. Getting sick of Sunrise winning all the time. When I am awake….has only ever been ABC News Breakfast….ABC News is mostly on my TV, 2nd screen…when the TV is on….although I stream Al Jazeera early hours of the morning…after midnite on ABC is a lot of repeats….and the Drum is too hard to watch these days…I do listen..if there is good discussion…but set is just awful. Ratings should not matter to an organisation that doesn’t need ratings as it is funded entirely by taxpayers to the tune of $1billion dollars. News.com.au is quoting you! You’re famous, David! Yes thanks, this actually happened years ago, ha…. Slick and glitzy … that’s not what ABC News Breakfast is about. It is all about intelligent, affable people – real people – presenting a solid news, sport and business diet without the distracting bells and whistles paraded by the commercial breakfast shows, but still with a touch of levity in the mix. To Michael, Virginia and the rest of the ABC News Breakfast crew, please don’t change anything. ABC News Breakfast is my breaky program of choice. I wonder what Today would be like if Virginia and Michael were poached to replace Deb & Georgie? I was thinking the same but if thought if nines audience didn’t like thier new host from this year they are harder to enjoy the ABCs team any more. And the abcs audience isn’t about to switch and I suspect if they did have nines has beens they would probably rate just as well as the present pair. Why? Then it’d just be News Breakfast with masses of commercials and annoying promotions. Mind you, I never watch any of them. I’m a radio person myself. I’ve often argued their competition is not each other… it is breakfast radio and the 8:10 train. Well deserved. Fluff free and intelligent.